Get out there and explore! Over 30 great fly fishing states-areas! Covers the major rivers, best access, seasonal conditions, wading considerations, selected techniques and flies. 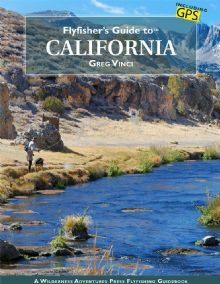 Detailed maps accompany chapters, along with hatch charts, food and lodging/camping suggestions, fly shops and more. Full Color, 45+ maps; 8.5x11 inches, Up to 300 pgs.